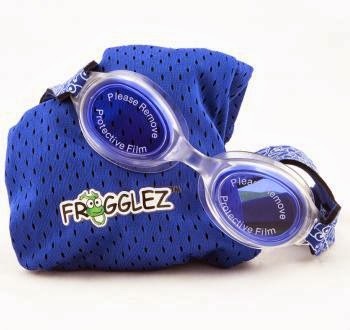 Swim Happy With Frogglez Goggles! For many kids, the sight of a pool triggers immediate memories of wearing themselves out with water gun fights, cannon ball competitions and having a blast friends. My kids can't wait to kick off the start of the pool season and start making new friends. My son loves the pool but he has developed a chlorine sensitivity that makes his eyes extremely red and irritated if he stays to long in the water without wearing swim goggles. The problem with the majority of kid's swim googles these days is that they never seem to fit correctly, and they always leak. Seriously, what's the use of swim goggles if the chlorine will always find a way get inside and irritate your eyes. 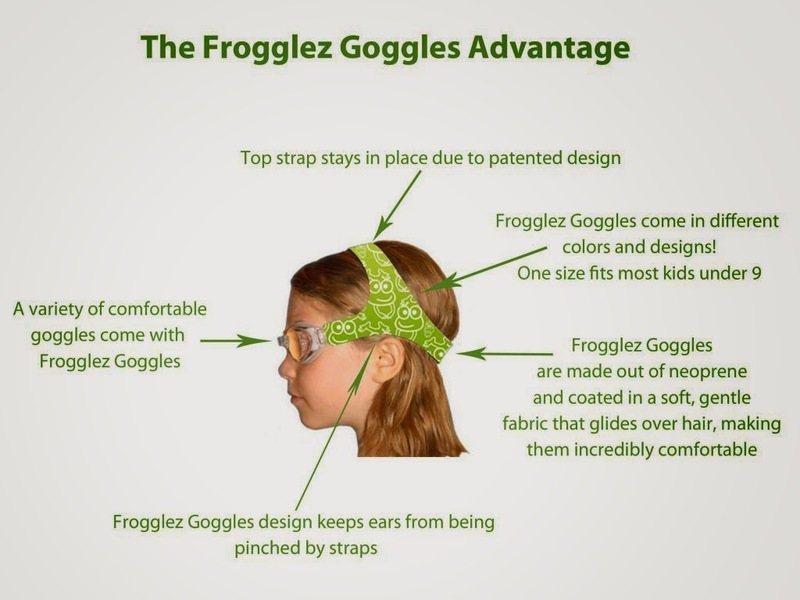 Frogglez Goggles were created by a dad who was frustrated with swim goggles. His kids (just like mine) struggled with most swim goggles they tried (and we tried a lot!). They were a bear to adjust, tight, pulled out hair and always slid down the back of the head resulting in the ears being pushed out like dumbo.